Already the subject of major media attention, the Therapeutic Sunblock SPF 40 combines the newest nano-technology and bio-technology to deliver unparalleled UVA and UVB protection. 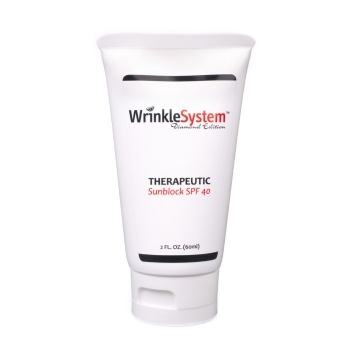 The advanced formula contains a pharmaceutical grade sequence of the clinically-proven wrinkle fighting peptide, Argireline and the world's most powerful antioxidant, A-Lipoic Acid. This is a highly-concentrated formula, use sparingly as directed.